We love this community and are always looking for ways that we can give back. One of your dentist in Bergenfield’s most treasured annual projects is happening right now, during Breast Cancer Awareness Month. And you could say this one hits a little close to home for us. Keep reading to find out why… and how you can save on dental care by making a donation to the Susan G. Komen foundation in October! 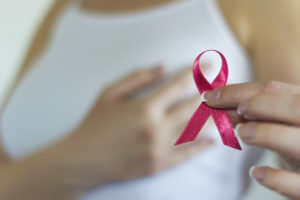 Why is Breast Cancer Awareness Month such a big deal for us here at Washington Dental Associates? Well, many years ago, our dental hygienist Diane discovered she had the genetic marker for breast cancer. Having already lost her mother and sister to the disease, she made the difficult decision to undergo a mastectomy. Then, that very same year two of our patients went through the treatment for breast cancer — and are now happy to say they are breast cancer survivors. So, in honor of those close to us who have been touched by this disease, and for the many others whom we’ve never met, we passionately support and donate to cancer awareness and the Susan G. Komen Foundation of North Jersey every year. This month, won’t you join us in our support of this important cause? You can help — and save on our high-quality dental care at the same time! When you donate $10 or more to the Susan G. Komen Foundation of North Jersey, send us the receipt and we will give you $50 in dental services for FREE! Or, you can make a $25 donation towards the Breast Cancer Research Foundation and get a stylish Pink Swarovski Crystal Smile. This Smile Pink decal is a temporary dental adhesive — and it’s safe, takes less than 5 minutes to apply, and will let everyone know you stylishly support breast cancer research. Make a Donation for Breast Cancer Awareness Month Today! We are already midway through October, but there is still time to make your donation to support breast cancer research and awareness. To find out more about this cause or to talk to us about our $10 donation for $50 of dental care special, we invite you to call our office today. It’s time to join your dentist in Tappan and Smile Pink for the cure!